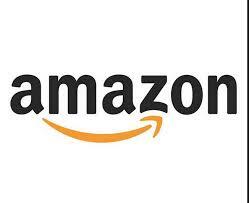 Amazon.com, Inc. (NASDAQ:AMZN) created 6,000 new full-time jobs in Europe last year as a response to growing demands. The internet retailing giant reported that the new jobs opened covers 50 different locations in the fields of logistics, customer service, software development, as well as supply chain management and design. The company now counts a total workforce of 32,000 in the European Union, all which are holding permanent jobs. The new jobs created in 2014 is the biggest annual increase since Amazon.com, Inc. (NASDAQ:AMZN) opened its first European websites, Amazon.co.uk and Amazon.de, way back in 1998. Amazon’s announcement come in the midst of overall macroeconomic slowdown in the EU,as businesses are taking advantage of growing consumer demands despite overall economic gloom. “Demand from our customers in the EU is greater than ever, and we see lots of promising areas to invent and invest for the future,” said Xavier Garambois, vice-president of Amazon EU retail, adding that the company is looking towards filling in more positions in 2015 as the company is in a phase of heavy investment. According to Amazon.com, Inc. (NASDAQ:AMZN), 1,200 of the company’s new job additions is in Germany, where the company have struggled with a series of strikes over issues of pay and working conditions. Verdi, a trade union, led workers from May of 2013 in strikes that demands for increase in pay rates that takes into accounts the collective bargaining agreements in effect with the country’s mail and order industry. The company, however, dismissed the demands, arguing that its warehouse workers are logistics workers that are paid above the average rate within that industry. Germany, Amazon.com, Inc. (NASDAQ:AMZN)’s second biggest market after the U.S., accounts for the 10,000 permanent positions of the company’s EU staff, plus an additional seasonal staff numbering more than 10,000. Next to Germany in having most new positions is Britain, while the rest of the addition is spread throughout the EU. The company announced the new jobs creation at a time that it is celebrating a major award for “Transparent”, an exclusive show available at its web streaming service Amazon Prime Instant Video. The show won the Golden Globe award for best TV comedy. Jeffrey Tambor, the shows lead actor also won best actor at the Golden Globe Awards in Hollywood.